Many preschoolers go through periods of stuttering. They may repeat whole words or phrases, use lots of fillers like “um” and “uh”, or seem to have trouble coming up with a word. These phases of stuttering may come and go as the child goes through little bursts of language development. For most children, these bouts of stuttering will resolve on their own and do not require any formal treatment or therapy. However, for some children, stuttering becomes a more serious problem and may require speech therapy intervention. So how do you know which children will resolve stuttering on their own and which will need help from a speech-language pathologist? The Stuttering Foundation at www.StutteringHelp.org has set forth these 6 warning signs based on the current literature. If the child demonstrates any of these warning signs, a speech-language pathologist should be consulted. The more warning signs the child has, the more likely he is to need direct speech therapy to improve his fluency. How to Stop Stuttering in Preschoolers, What Therapy is Best? What is Response-Contingency Therapy for Stuttering? Response-contingency therapy for stuttering involves the communication partner (the therapist or parent) responding differently when the child is fluent (no stuttering) vs. when he is disfluent (stuttering). For example, if the child says something without stuttering, the listener may say something like “wow, I like how smooth that was” or “no bumps that time!”. On the other hand, if the child begins to stutter, direct feedback is given to the child to let him know he is stuttering. The listener may hold up a hand or say “oops”. How to Conduct Response-Contingency Therapy for Stuttering? 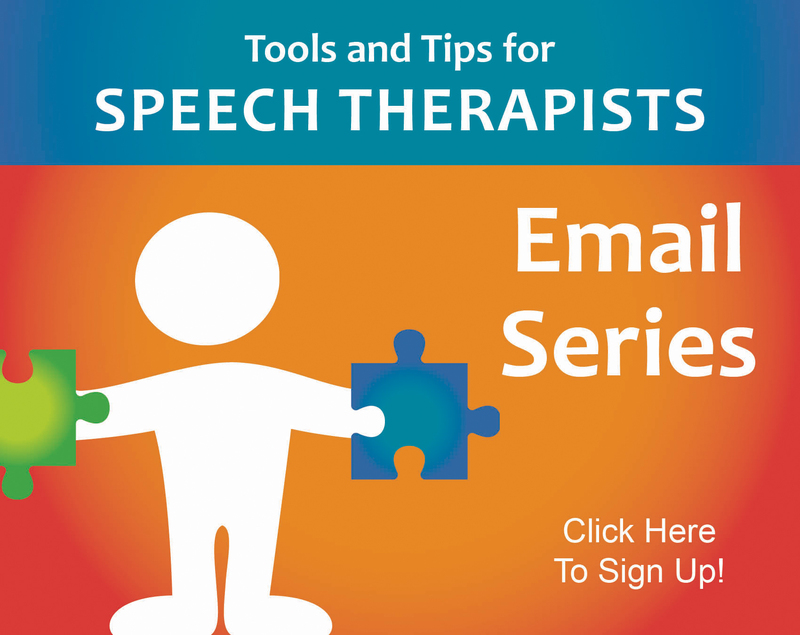 This therapy should be conducted under the supervision of a licensed speech-language pathologist, but here’s how it works. Bothe and Ingham present suggestions in a paper prepared for a presentation at the Annual Convention of the American Speech‐Language‐Hearing Association in 2010. While playing with the child, comment on utterances that the child says that do not have any stutters. You can say “oh I like how smooth that was” or “you say that without any bumps!”. If the child stutters frequently, try an activity that requires the child to use shorter utterances. For example, you could play a game that requires the child to say a short sentence, like “Go Fish” (ex: “Do you have a ball?”). If the child still stutters on these, back up to even shorter sentences, like having the child use one word to name an object in a picture. Then, praise the fluent speech as above. If you need to shorten the utterance length down to have stutter-free speech, gradually build the utterance length back up by choosing slightly more demanding tasks. If the child is stuttering so much that you would be doing this kind of correcting constantly, try choosing just the most severe stutters or just some of them. You can also try choosing activities that require a shorter utterance length as described above. 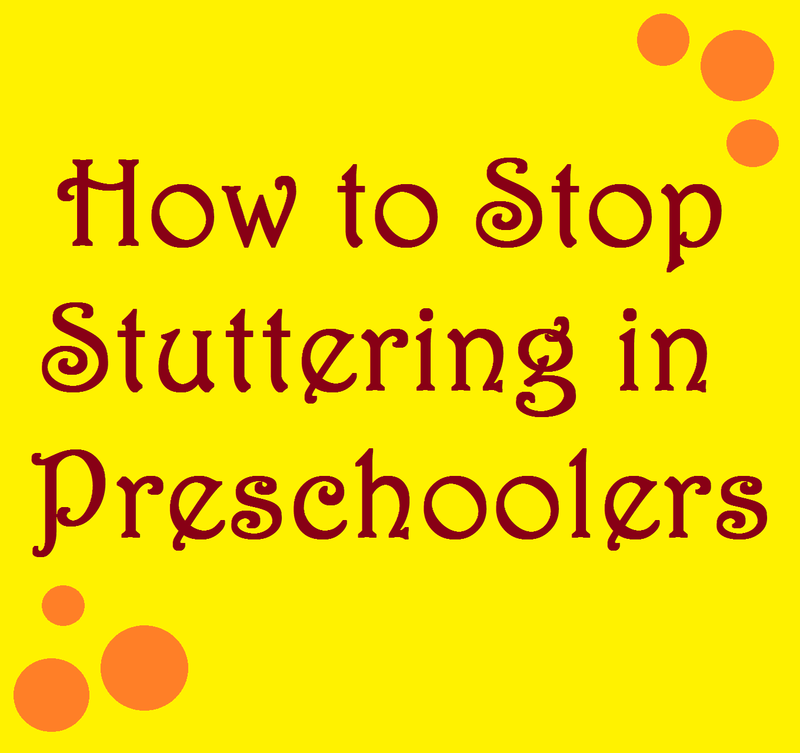 In the past, therapies to stuttering with preschoolers did not take such a direct approach. If this is the approach you are used to, then these newer approaches may seem a bit harsh. However, rest assured that response-contingency therapy is showing to be the best method in the current research. 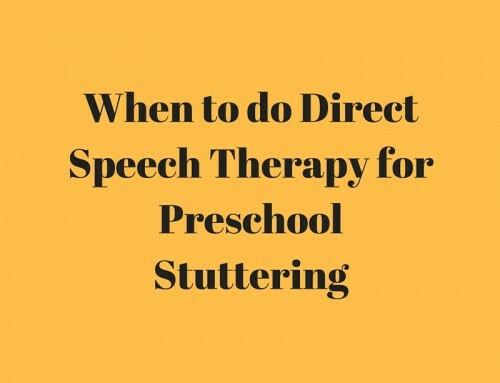 Of course, you shouldn’t jump in with this therapy at the first sign of a preschooler stuttering, but once it is decided to begin therapy, this approach is the best one currently backed by research. 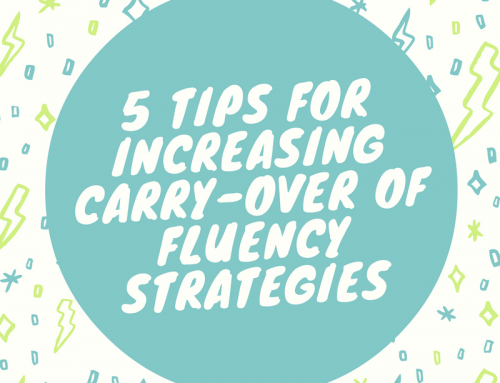 If you are concerned about frustrating or overwhelming the child, you can always start off slowly by reinforcing fluent speech more and correcting stuttered speech less frequently. Then, you can gradually increase the number of times you correct stutters. 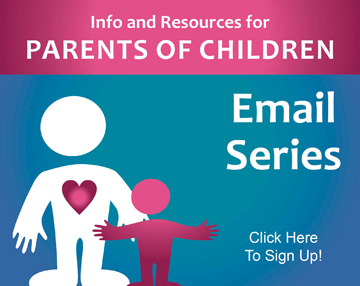 Click here to get the PDF of this information sent to your email address. Thank you for the video. I will definitely use it when working with families! Glad it’s helpful! I’m just starting to get into videos but I think they’re going to be very helpful! Great Information! Enjoyed the video. Thank you! Wonderful! I’m glad you enjoyed it! Would love to see you performing this technique with a little one. What if the child is not aware of the stuttering? Would this still be a technique you would use? Do you worry that parents or SLPs will over-use this and create an atmosphere/message that they are doing something wrong when they stutter? I was wondering about this as well. I have a kindergarten student who is a severe child who stutters. He has lots of secondary behaviors so I am worried he will develop negative feelings about his speech. Luckily I have been using this approach and he is successfully using smooth speech in words and carrier phrases. I’m just worried about the negative feelings as I don’t see him outgrowing this. I think you should always consider negative feelings when working with children with stuttering. This is just an outline and a strategy. You should always use your judgement (as with any strategy) on if you think it will do more harm than good. 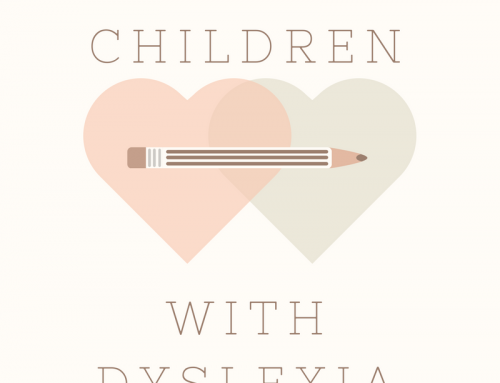 There is no one way to treat communication disorders so add this to your tool bag but don’t feel like you have to use it with everyone if it’s not a good fit! Thank you for the help. I have 4 year old who has mild Cerebral Palsy and is delayed developmentally and stutters. Your video helps me out I do the smooth it out you are getting bumpy. Any help for my peanut is great fully accepted. Thank you Carrie for keeping me up on the current research in stuttering. I have a little guy that I am anxious to try this technique on. I enjoy all your postings! Thank you so much for your kind words! I hope it works well, let me know if you have any questions! Thank you Brooke for adding this information. Great information. I will be using this for my 9 year old who stutters. He has a IEP but they don’t have Speech Pathologist at his school yet. I have been working with him but I am not a teacher and just need additional help. 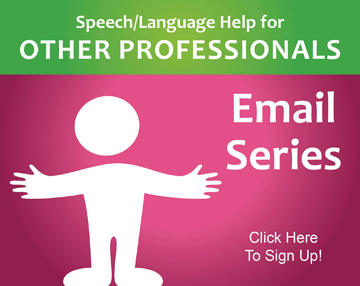 Legally, your school must provide a speech pathologist if your child has qualified for an IEP. Make sure your child gets his services!! Glad I can help in the meantime though. Would you recommend that this strategy be used only with preschoolers or with older kids as well? Can this be used in tandem with Van Riper’s fluent stuttering approach? This can definitely be used with older children as well but it’s the most effective for preschoolers. 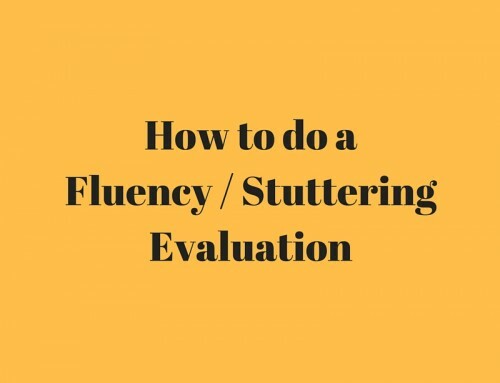 On the ASHA site, they talk about using a combination of approaches for older kids because you need to address many different aspects of stuttering, including the emotional components. I’m glad I watched this informative video. I’m a classroom teacher with a 4 yr old who started stuttering last summer, possibly related to some major family upheaval. She has been evaluated and it was recommended to us to ignore. Is it professional for me to negate their advice and try this technique? Please don’t use any advice you find online to go against what a medical professional who has treated the child has recommended. You can always ask for a second opinion if you disagree with something that was decided, but I would not take matters into your own hands to try something different. I have not worked with that child so I cannot say what is best for him/her. I have a 4;4 kiddo who has been stuttering for 2 years but does not state any awareness, and is overall very shy so hard to tell if she realizes it. Mom has noticed she sometimes demonstrates circumlocation but child has never said anything to indicate awareness. Because of this I want to start with a more indirect approach- any resources or suggestions for how to do indirect tx other than parent/teacher education? Here is a link to Carrie’s resources on Stuttering. Hopefully you will be able to find something of use. Speaking as both a therapist and a person who stutters, response-contingency therapy creates more problems than it solves. As mentioned earlier, this therapy technique may very well lead to more fluency in the moment. However, the therapist’s negative response to stuttering communicates to the child that, “I’ll only play with you if you don’t stutter,” or, “I only like you when you don’t stutter.” The negative feelings this creates in early childhood will only feed the child’s struggles with stuttering as they get older (especially if the stutter does not fade). Given that there are other therapy options that increase fluency without equating disfluency with negative emotions, this therapy should NOT be used. How do you track data using the response contingency method? Do you track how many prompts were used for bumpy speech , or are you just counting how many disfluencies they have during session? I thought it was normal for my daughter to be stuttering at her age until she got into preschool and the kids started teasing her for it. 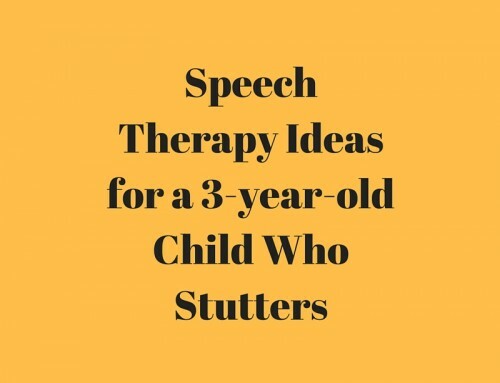 Your tips for how to treat it with reinforcement of proper speech and practicing short sentences with her will definitely help us, and getting a speech therapist for her is probably going to be essential for her, as well. I wasn’t sure about giving her corrective feedback myself, because I didn’t want to seem overly critical of her problem, but if it helps, as you say, then I’ll be sure to give it a shot.